Rated 5 out of 5 by 94 reviewers. 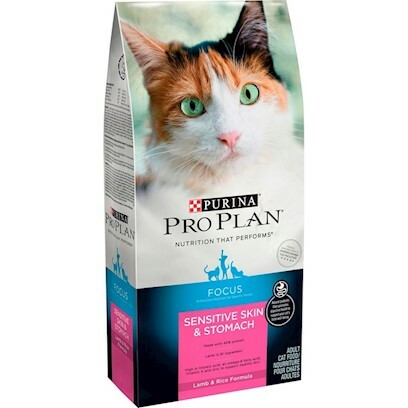 My Cats Lila & Murphy Love Pro Plan!!!! Amazing cat food! Great great product! Stanley does really well on this! All my cats love it but one needs it the most! Works better than an expensive RX diet! Sensitive Stomach: Problem Solved With Focus! Great to know what the food is intended for! Great for a cat with a sensitive system! The only cat food, my cat can eat ! Great Product. The cats love it! My cat can keep this food down!